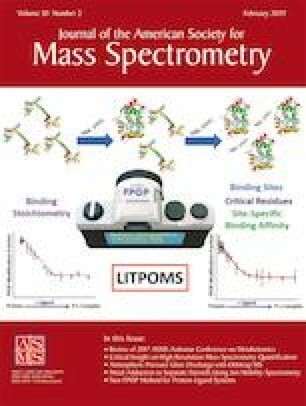 We report a novel method named LITPOMS (ligand titration, fast photochemical oxidation of proteins and mass spectrometry) to characterize protein-ligand binding stoichiometry, binding sites, and site-specific binding constants. The system used to test the method is melittin–calmodulin, in which the peptide melittin binds to calcium-bound calmodulin. Global-level measurements reveal the binding stoichiometry of 1:1 whereas peptide-level data coupled with fitting reveal the binding sites and the site-specific binding affinity. Moreover, we extended the analysis to the residue level and identified six critical binding residues. The results show that melittin binds to the N-terminal, central linker, and C-terminal regions of holo-calmodulin with an affinity of 4.6 nM, in agreement with results of previous studies. 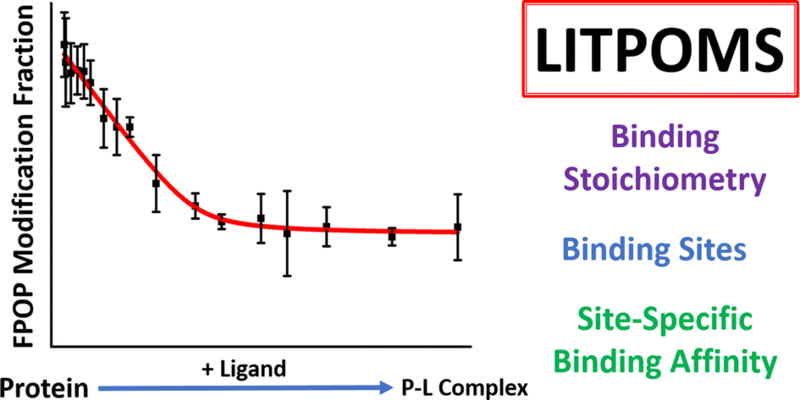 LITPOMS, for the first time, brings high residue-level resolution to affinity measurements, providing simultaneously qualitative and quantitative understanding of protein-ligand binding. The approach can be expanded to other binding systems without tagging the protein to give high spatial resolution. The online version of this article ( https://doi.org/10.1007/s13361-018-2076-x) contains supplementary material, which is available to authorized users. This work is financially supported by National Institute of Health NIGMS Grant 5P41GM103422 and 1S10OD016298-01A1 (to M.L.G.). Authors are grateful to Dr. Jagat Adhikari for helpful discussions and to Protein Metrics for software support.